A Ramadan meal planner that will help you plan your meals in this holy month. 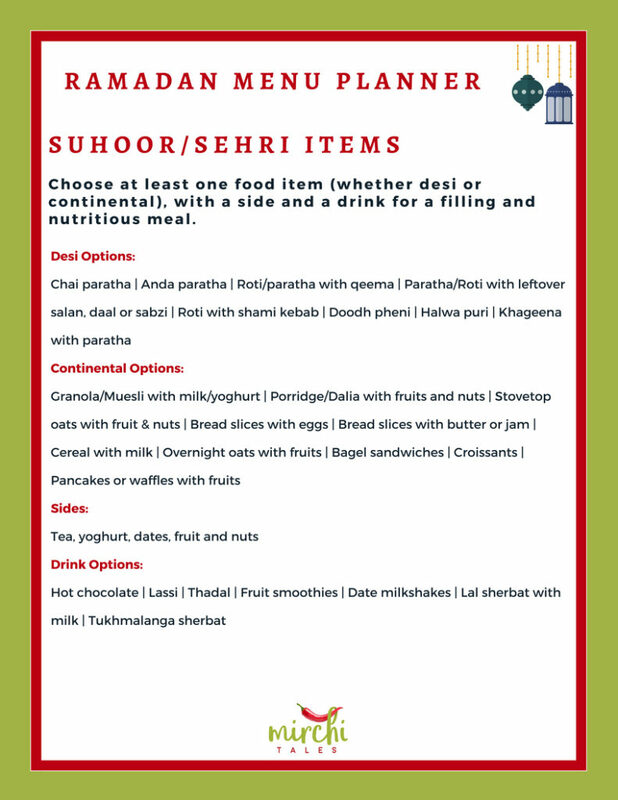 Plus there is a FREE sample menu guideline for sehri/suhoor, iftar and dinner. Ramadan is the 9th month in the Islamic calendar, and every day during this month, Muslims around the world spend the daylight hours in a complete fast by abstaining from food & drink from sunrise (Suhoor/sehri) to sunset (Iftar). Not only do Muslims have to fast, but they also have to stay away from any sinful behaviour or speech and spend more time in prayer. Ramadan teaches Muslims to practise self-discipline & develop empathy for those who are less unfortunate. Though Ramadan is focused on spirituality, it is a festive month knowing that across the world, millions of Muslims are following a similar routine, regardless of geographic location. There is a joy to this month with the entire family gathering (at least in Muslim countries which reduce working hour) and breaking the fast together. There are certain dishes that are made only in Ramadan (hello pakoras, laal sherbet and fruit chaat!). However, the objective of the month can be taken over by the preparation of meals for iftar, sehri and well dinner. More so with the traditional Pakistani Iftar being heavily focused on fried items. 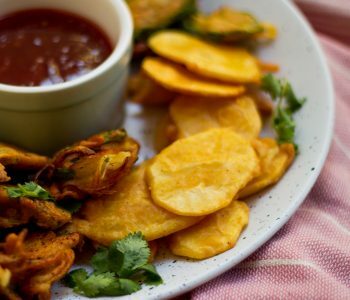 I love having fried items for Ramadan, especially crispy fried pakoras. Over the years I have realized that not only are they fattening but they take SO much time. They also can’t be made in advance, so whoever is frying the last batch of pakoras is usually standing in the kitchen when it’s time for Maghrib azaan. Why is it important to make a Ramadan meal planner? 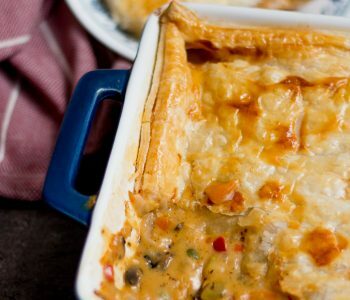 That is precisely why it’s essential to do Ramadan menu planning, coming up with a system that the entire family enjoys but does not require hours in the kitchen. A menu plan that focuses on a balanced diet that includes items from all major food groups – bread or cereals, milk & dairy products, meat, fish or other protein, fruits and vegetables and fat & sugars. We are fasting from sunrise to sunset, and it is necessary to refrain from over-indulging and eat food that will give us much needed nutrition. Feeling weak the next day after having a heavy iftar & skipping dinner is not because you are fasting but because you haven’t eaten properly! 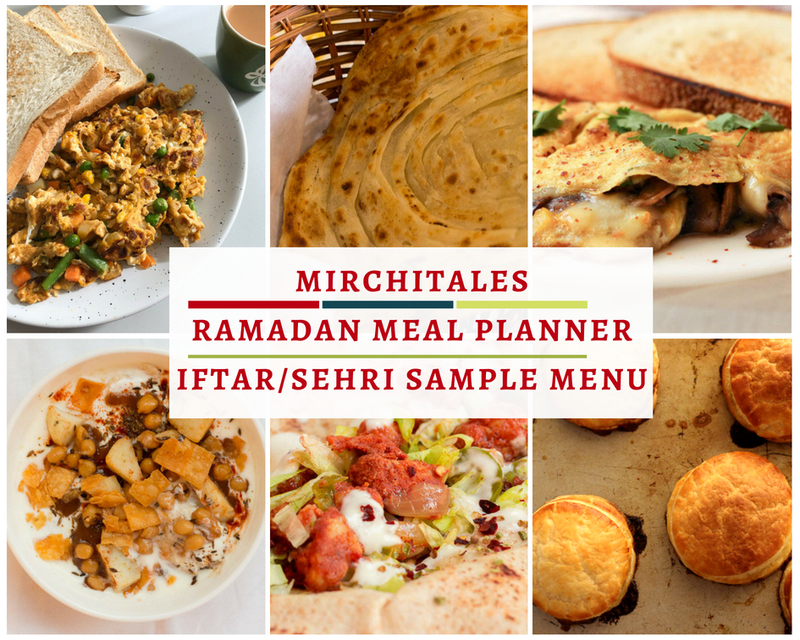 To make deciding what to cook in this month easy, I made a Ramadan meal planner with options on how to plan sehri and iftar along with dinner. Use it as a guideline to pick and choose options based on family preferences. Screenshot, save or print a copy to keep it with you. Below are some guidelines that I follow for this plan. Organize the rest of the meal in reference to the items served at iftar. If serving a heavy iftar with fried items, make sure that the rest of the items are healthy like salads, fruit chat, beans (cholay, lobia or rajmah), dahi baray etc. 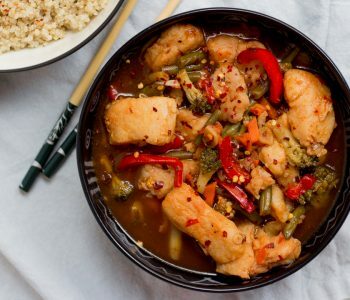 Alternatively, serve a light iftar (pakora and chicken patties)with 2-3 basic items and then a family style dinner meal like pizza, singaporean rice, biryani, or similar one-pot/casserole style dish. Choose menu items that complement each other. For instance, dahi baray, chole and boiled potatoes can be eaten on their own and also made into a chaat with imli chutney and papri. Limit the amount of fried items at Iftar; only keep 1-2 items at a time so the cravings are indulged without going over-board. Alternatively, use healthy cooking methods like shallow frying, grilling, baking or an air-fryer. Use kitchen towel/tissue paper for soaking up excess oil – do not use newspaper as the ink contains lead which is toxic. The Sehri meal needs to nutritious and wholesome to provide the body fuel during the day. A combination of items such as eggs, grains, meat along with dairy products, fruit and nuts will result in a balanced meal. For instance, roti with eggs and a milkshake with some grapes is a meal that is light and yet fulfills almost all food groups. Eating too much at Sehri will be counter-productive and cause indigestion and bloating. Avoid having rich and oil laden foods like nihari and paye. Drink water but slowly and steadily to avoid bloating. Do have a cup of tea, but limit intake since tea contains caffeine that can cause water loss in the body resulting in thirst. There is no need to add variety just for social media pictures. If your family is happy eating certain items on a daily basis, just make those regularly. What is your standard sehri, iftari and dinner menu? Let me know in the comments below! This is a really good meal plan! And very basic but much needed tips for Ramzaan! Most people don’t realise where they go wrong in their diet during ramzaan and end up with bloating and indigestion. Just because you will fast doesn’t mean that you fill yourself up with truck loads of food! We are not camels after all ? This is awesome! Saved both the plans! 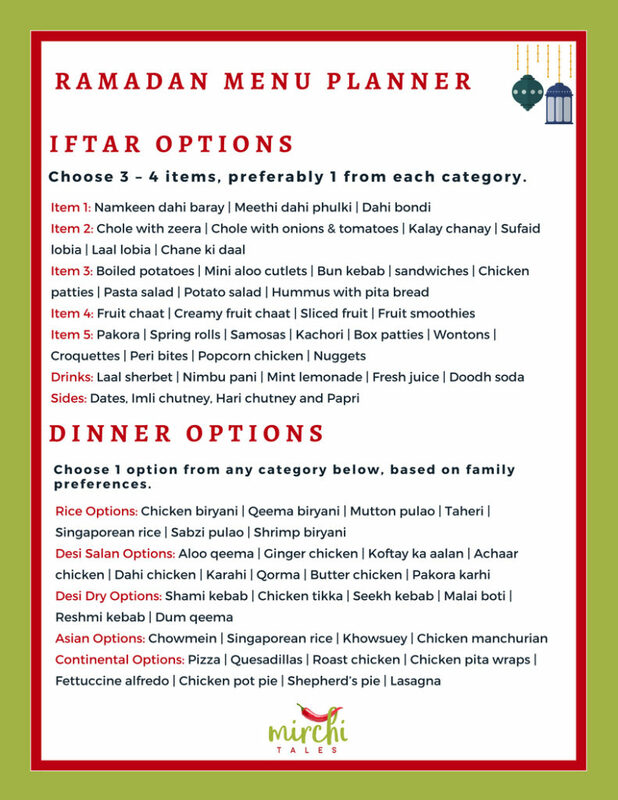 Seems to me a useful Ramadan meal planner for Sehr especially. But anything specific for the Ramadan in summers?